home of the world’s best sodas and all made exclusively with pure cane sugar. 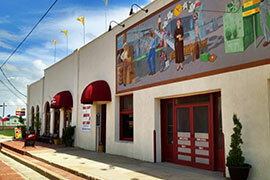 Our tiny bottling plant in Dublin, Texas, serves customers throughout the Lone Star State and the entire world. 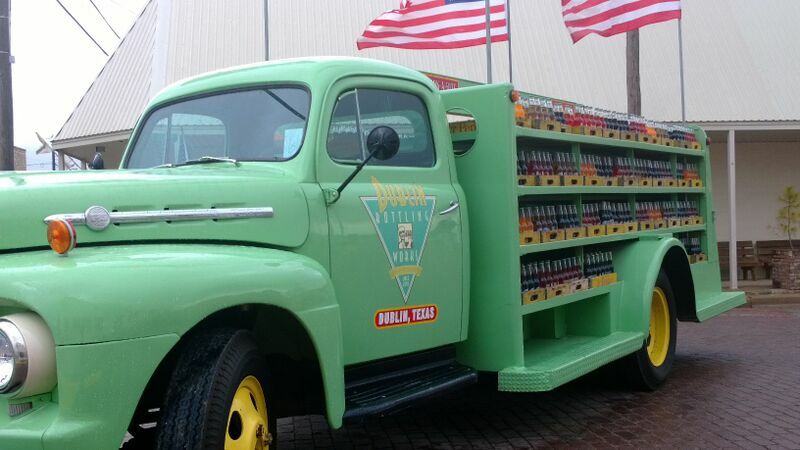 We’ve been bottling sodas for more than 120 years at the oldest soda bottling facility in the State of Texas. Our family-owned company is built on a commitment to quality, hard work and a willingness to do things right. Check out each of our delicious sodas and Dublin Bottling Works gear online, or give us a call at 888-398-1024 to place an order or learn more about Dublin Bottling Works products. We invite you to come to Dublin and tour our historic bottling facilities and the W.P. Kloster Museum. We know you’ll enjoy our unbeatable hospitality and one of the world’s largest collections of classic soda memorabilia. 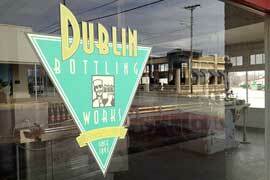 Thanks again for visiting Dublin Bottling Works! Open: Thursday-Saturday from 10 a.m. to 5 p.m. & Sunday 1 p.m. - 5 p.m.
Tours begin at 10:15 a.m. and run every 45 minutes until final tour at 4:15 p.m.
Price is $5 for adults, $4 for kids and seniors. 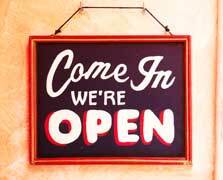 For group tour reservations and rates call 254-445-3939. Copyright ©2019 Dublin Bottling Works, Inc.